Victoria Beckham is celebrating the milestone anniversary of her eponymous fashion house this year. To mark the occasion the British designer launched a special campaign in collaboration with photographer Juergen Teller. 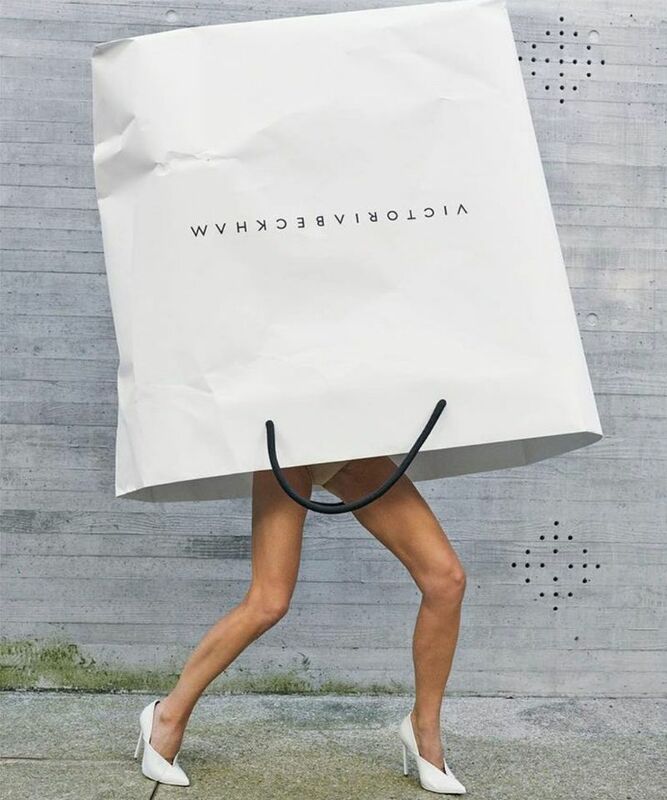 In one of the campaign images, she appears under an oversized Victoria Beckham shopping bag with only her bare legs with white heels visible. The image revisits her appearance in a Marc Jacobs campaign in 2008, photographed by Juergen Teller, with her legs sticking out of his carrier bags. ‘When Marc Jacobs featured me coming out of a shopping bag a decade ago it really was just the beginning of my journey into the fashion industry. So what better way to illustrate the story of the past ten years than by revisiting the creative?’ Beckham wrote in an Instagram post. 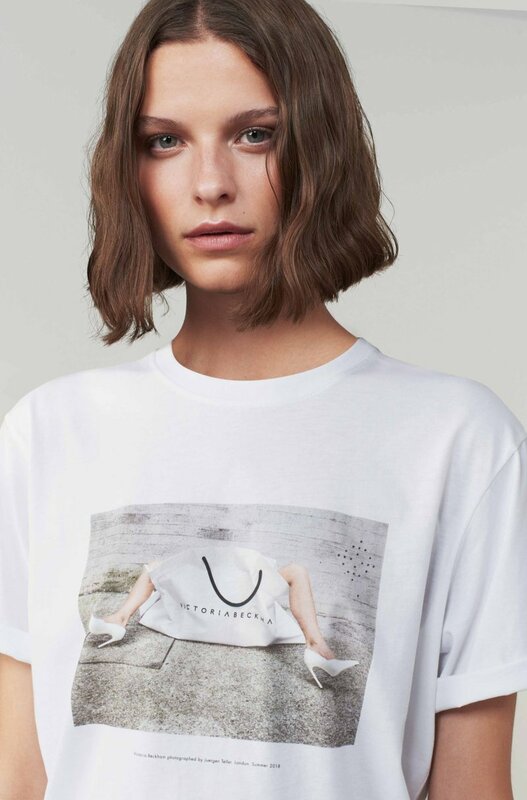 Beckham announced that she will be releasing a limited edition collection of t-shirts, printed with her recreation of the gigantic bag photo. 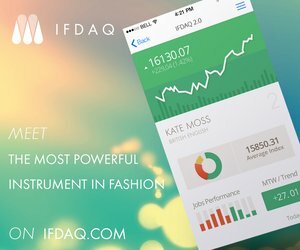 The collection will be available for purchase via her website as well as for selected clients straight from the catwalk at the brand’s flagship next door during the British fashion week on Sunday 16 September.